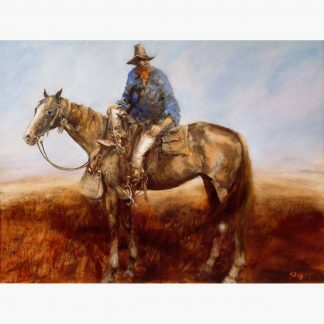 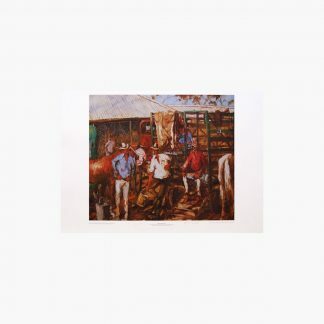 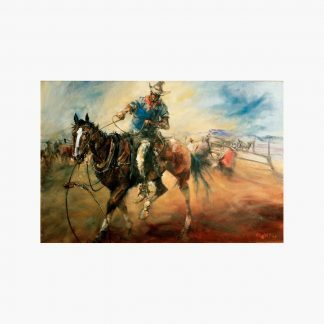 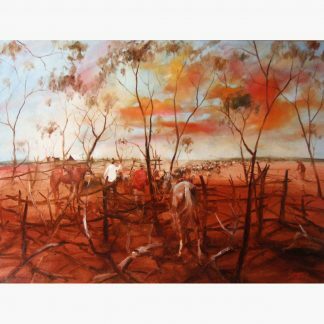 Hugh Sawrey CBE (born in Forest Glen, Queensland, 1919, died Benalla, Victoria, 1999) was an Australian artist and founder of the Australian Stockman’s Hall of Fame, Longreach, Queensland. 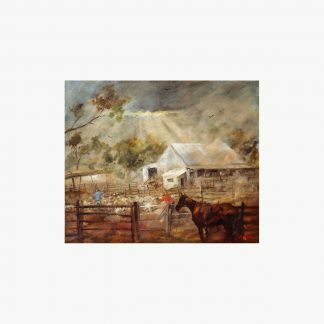 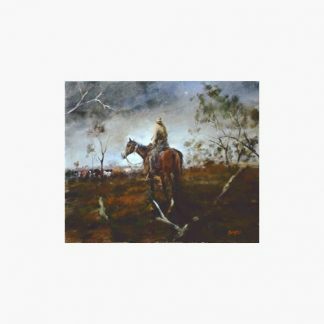 Sawrey was an artist whose prolific output of paintings and drawings of the Australian landscape and its people contributed in a profound way to the preserving of the memory of times and places in Australian history that were in danger of being overlooked and lost to posterity. 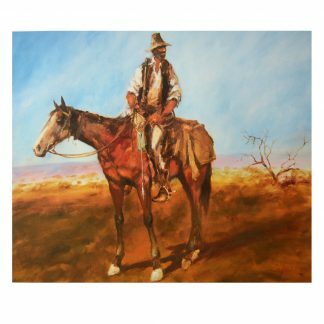 Throughout his long career, he experienced firsthand events that shaped Australian identity in the 20th century and documented through his work many of the characters that lived in this period. 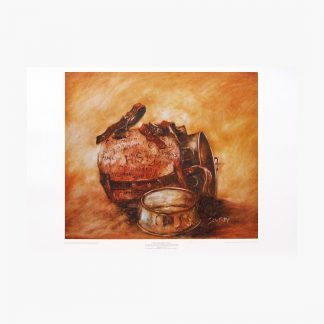 His father, a teamster died when Hugh was only three years old. 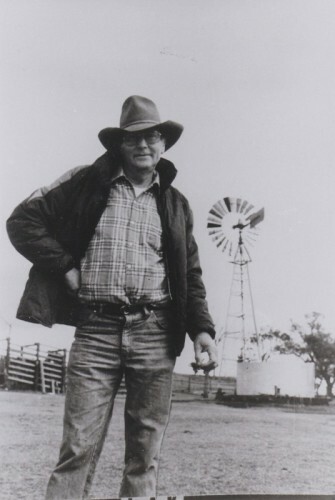 Together with his mother and older brother Alan, Hugh moved to Brisbane in the early 30’s. However he left school when he was 15 and began working in outback QLD to assist his family during the Great Depression. 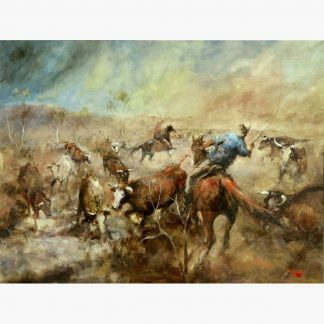 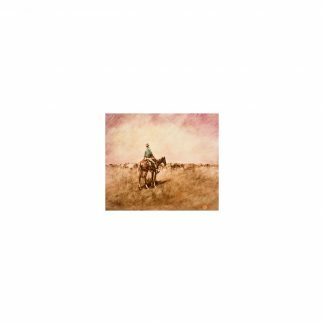 He worked a multitude of jobs from droving to shearing, traveling extensively throughout the interior of Queensland, the Northern Territory, and Western Australia. 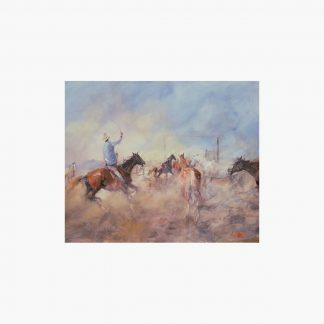 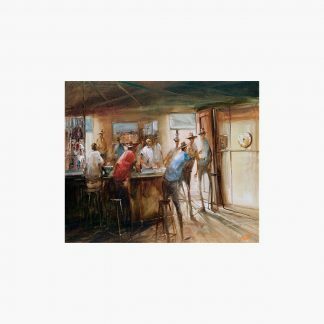 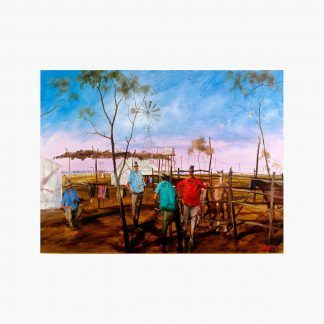 During this time he taught himself to paint and draw, practicing by the light of campfires and documenting the places he saw and the people he met. 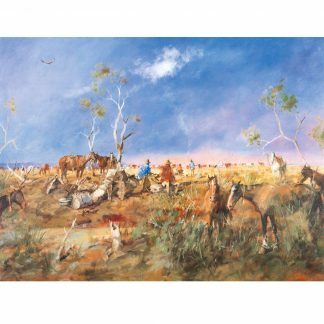 From the drovers and stockmen of the great stations to the indigenous people that lived in regions where he travelled. 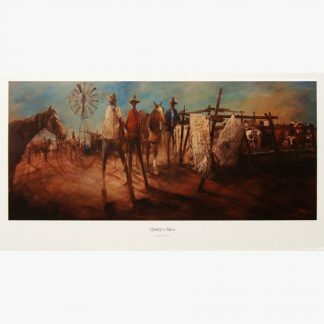 He also left a vast range of murals painted on the walls of homesteads and pubs all over the country he know so well. 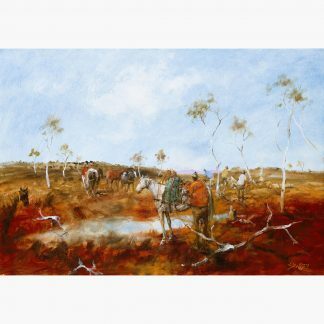 In his long career Sawrey was awarded several art prizes including the Queensland Industries Fair Gold Medal and in 1989 he was awarded a CBE for services to the arts. 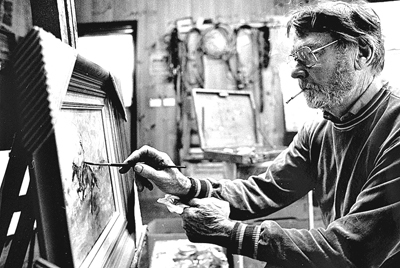 His work was exhibited in most of Australia’s major galleries and also in London at the Tryon Gallery. 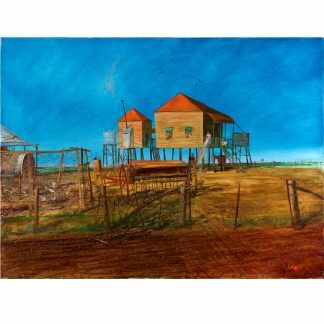 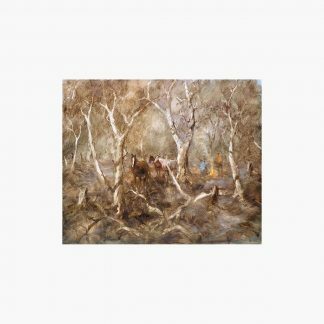 His work is represented in important public and private collections including the following collections in Australia: the Queensland Art Gallery, the Robert Holmes a’Court Collection, the Sir Rupert & Lady Clarke Collection, the Lady Fairfax Collection and the Robert Nesen Collection. 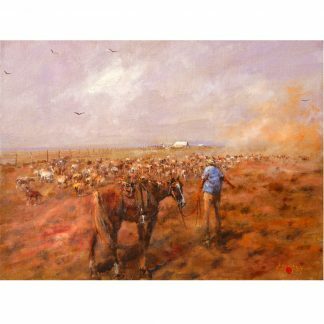 Overseas collections include the Dunedin Public Art Gallery, New Zealand; the Australian Embassy in Paris; the Rothschild Collection; the Lord T. Remnant Collection in Britain; King Ranch, Texas, USA; and the Mitsubishi Collection in Japan.